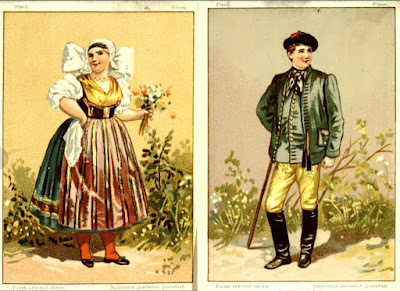 I'm often asked how kroj (Czech/Moravian/Silesian costume) looked like in different regions of the Czech Republic. 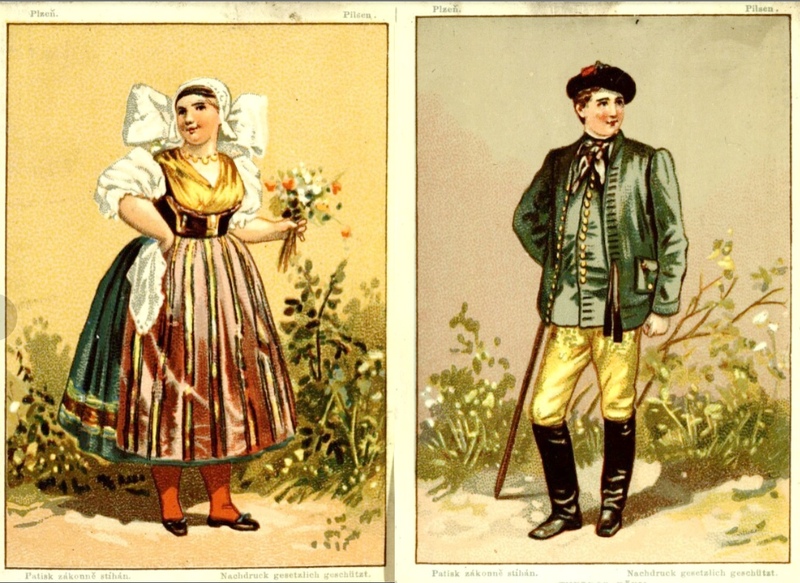 I got a link to very interesting booklet published in 1885 showing both male and female krojs from different locations. There are not too many of them but I thought you would like to see them. Name of the area is on top of the picture - in these cases Pilsen area. The booklet is available online in the Moravian Regional Library.